#Breckenridge – What’s Not to Love? 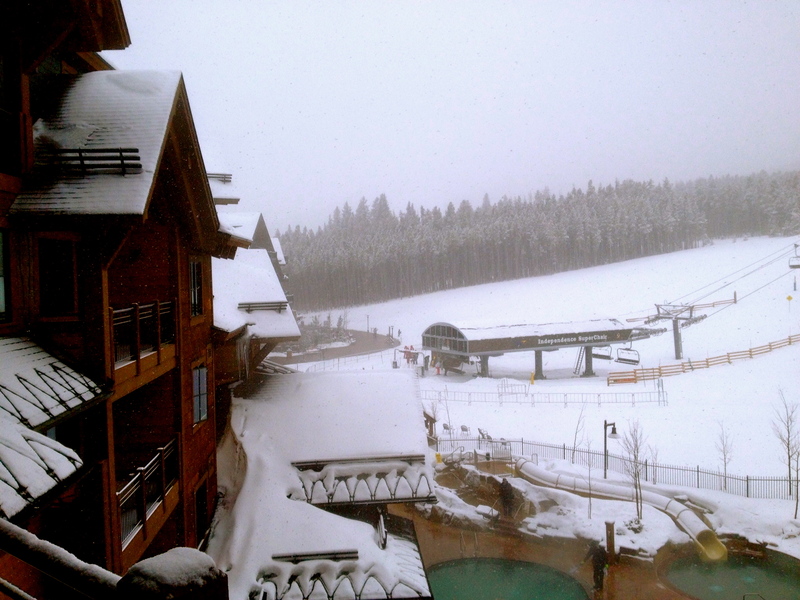 Did we mention FIVE inches of new snow today?? And more snow in the forecast? What’s not to love in Breckenridge? Probably nothing. A post yesterday from a skier stated that it was his best day of the season. There is just nothing more wonderful than spring skiing in fresh powder without freezing your…well… you know… off. This entry was posted on April 21, 2013 by elevatemarketingaz. It was filed under Breckenridge Colorado Luxury Condo Sales, Breckenridge Luxury Condo Sales, Breckenridge Real Estate, Breckenridge, CO Real Estate, Breckenridge, Colorado Real Estate, Fractional Ownership Real Estate, Fractional Ownership Real Estate Breckenridge CO, Fractional Ownership Real Estate Summit County Colorado, Fractional Ownership Real Estate Summit County, Co, Fractional Real Estate Breckenridge, Fractional Real Estate Breckenridge Colorado, Grand Lodge on Peak 7 Breckenridge, Colorado, Luxury Fractional Real Estate, Luxury Fractional Real Estate Breckenridge CO, Luxury Fractional Real Estate Breckenridge Colorado, Luxury Fractional Real Estate Summit County, Co, Luxury Fractional Real Estate Summit County, Colorado, Real Estate Breckenridge, Real Estate Breckenridge Colorado, Ski In, Ski Out Luxury Condo Breckenridge Co, Ski In, Ski Out Luxury Condo Breckenridge Colorado, Summit County Co Real Estate, Summit County Colorado Luxury Condo Sales, Summit County Real Estate, Summit County, Co Luxury Condo Sales and was tagged with Breckenridge, Breckenridge Colorado, Breckenridge Colorado accomodations, Breckenridge Colorado condos, Breckenridge Colorado skiing, Breckenridge luxury condo sales, Grand Lodge on Peak 7, ski in, ski out real estate breckenridge colorado, ski_in_ski_out Breckenridge condo, Summit County Real Estate.